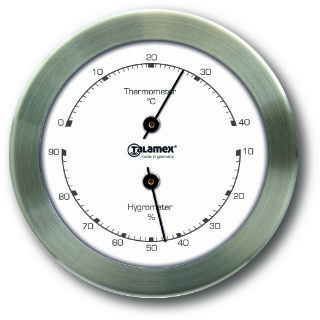 Our combined thermometer /hygrometers handily give you both the temperature and relative air humidity in easy to read dial format. 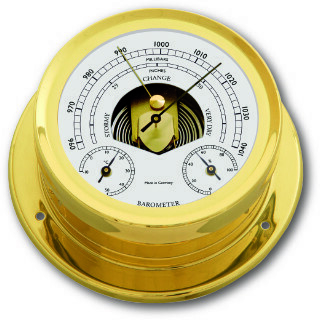 Available in stainless steel, solid brass or chrome plated brass, they elegantly provide essential information for mariners while looking beautiful whatever the weather. 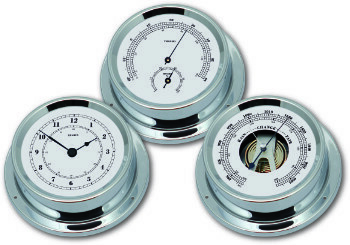 Just about the most elegant weather station you will ever come across, our combined Thermometer/Hygrometer/ Barometer will let you know all the information you need in a clear, dial format. 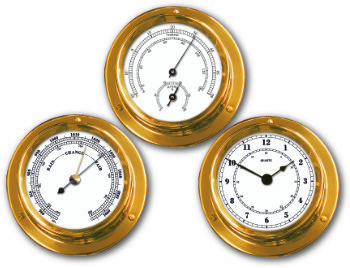 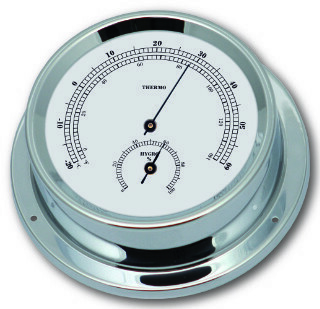 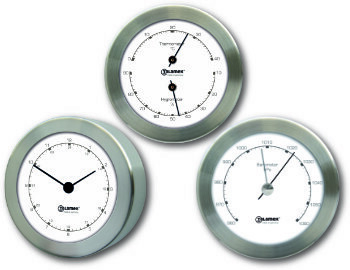 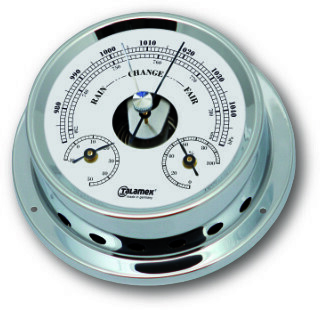 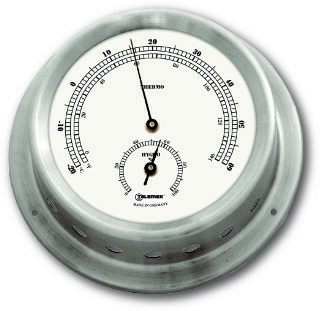 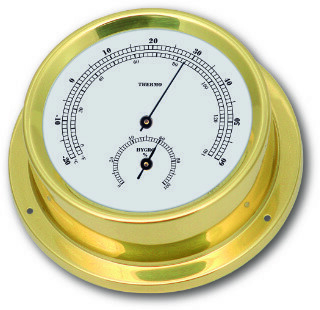 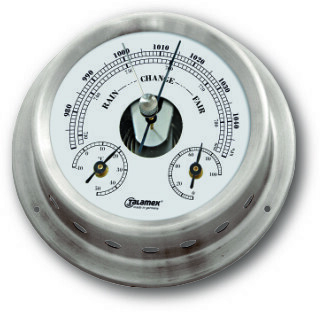 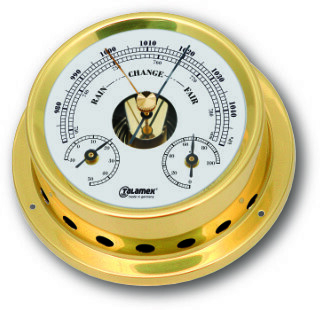 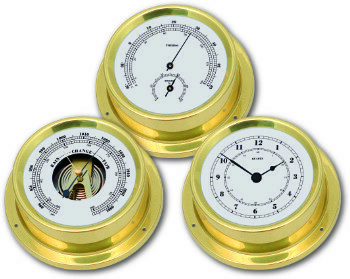 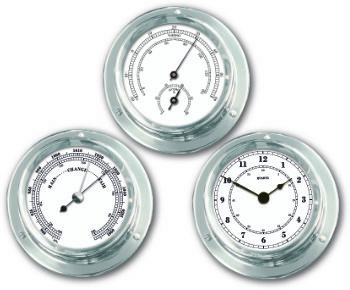 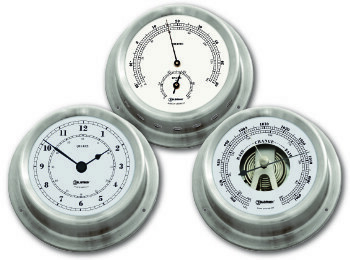 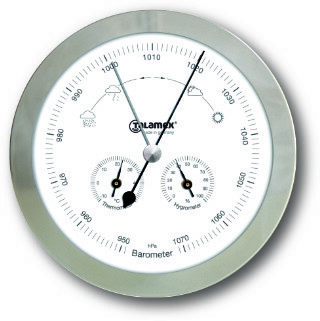 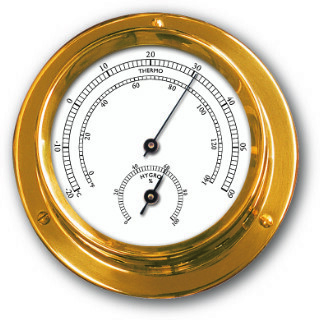 Ship’s Barometer / Thermometer / Hygrometer all on one dial with brushed stainless steel case.